Here’s a trend in the garden world that doesn’t go out of style – low-maintenance perennials that can take growing ‘on the rocks’. Here is a winning combination – use it for a stone wall that gets a bit of sun. 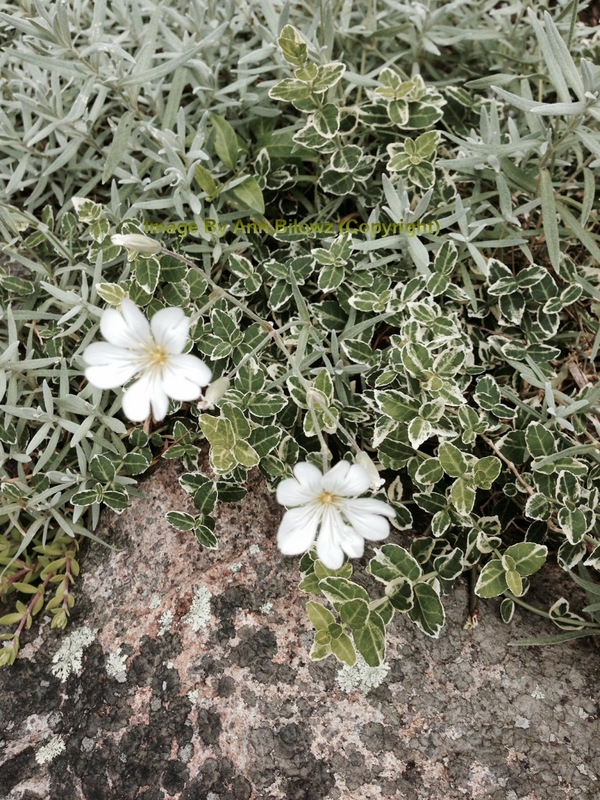 It’s a combination of Cerastium tomentosum (Snow-in-Summer) mixing it up with a variegated Euonymus ground cover. There are so many low-maintenance perennials that can handle a rough and rugged plant life, just hanging out on a stone wall. Use your imagination and get daring with what you try. And if you missed yesterday’s post, Against All Odds, it’s a good one to read if you need something simple to get you past any garden failures. After this past winter, we are all looking at a few, 'dead as a doorknob' plants. That’s why you always mix it up a bit. It’s similar to fashion. Never go with just one thing as mixing it up can give your garden a splash of originality. As Stacy London points out, “Matching your hat to your shoe to your bag, or your necklace to your earrings, has a tendency to look dated. Mixing up your accessories adds interest to an outfit, and can make you look much more modern and polished.” When it comes to the low-maintenance perennial garden, use your imagination. Get daring with what you try. That's the Tuesday mixer. Get working on some different twists. And if you enjoyed the Tuesday mixer, make sure you share it with a plant friend.